Tiffany Falls is a 21 metre high cascade waterfall whose source is nearby Tiffany Creek. 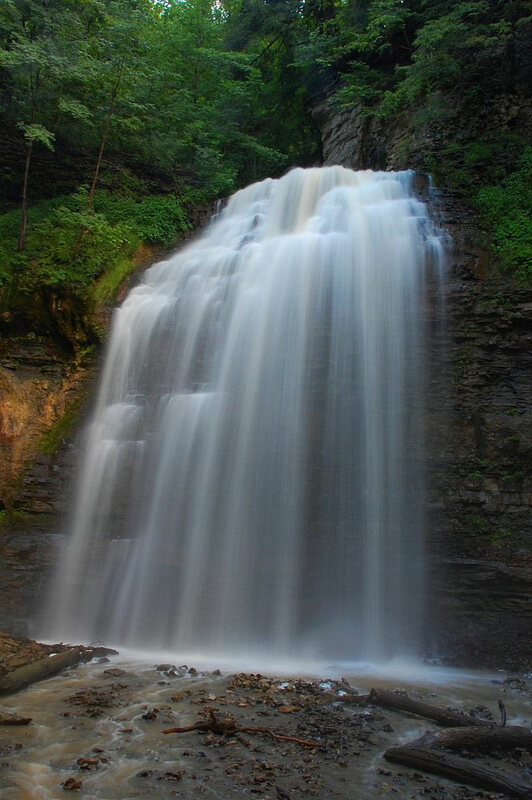 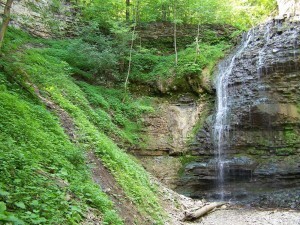 It is located at the Tiffany Falls Conservation Area in Ancaster. This waterfall used to be fairly difficult to access during inclement weather conditions, but a new pathway was jointly completed in 2007 by the Hamilton Conservation Authority, the Bruce Trail Iroquoia section, the Rotary Club of Ancaster, and the Trillium Foundation. 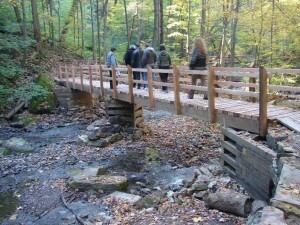 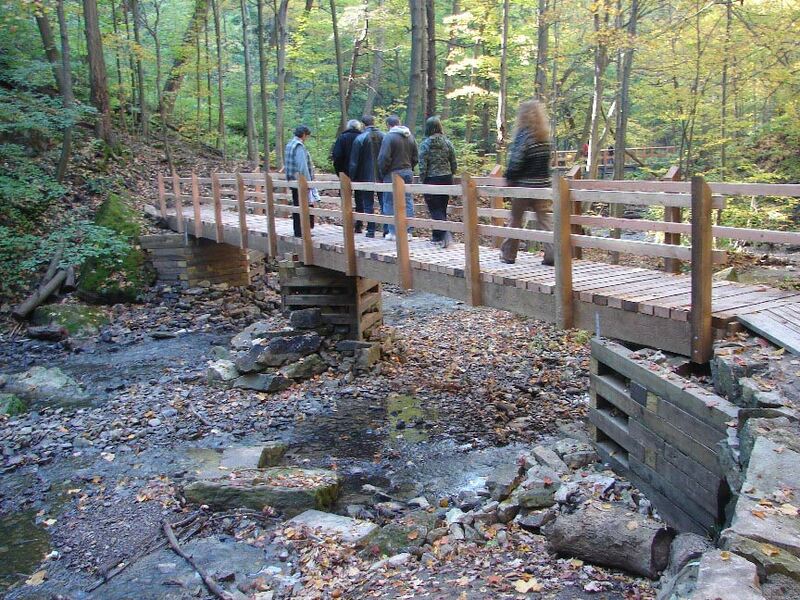 This new pathway includes two new bridges to cross the creek and a viewing platform. 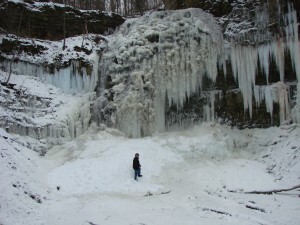 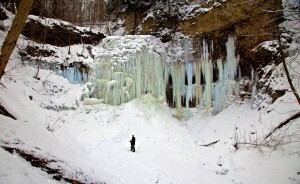 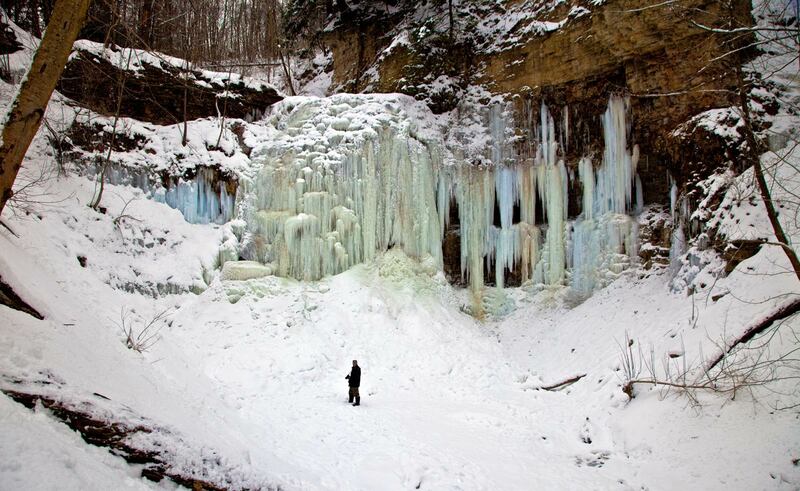 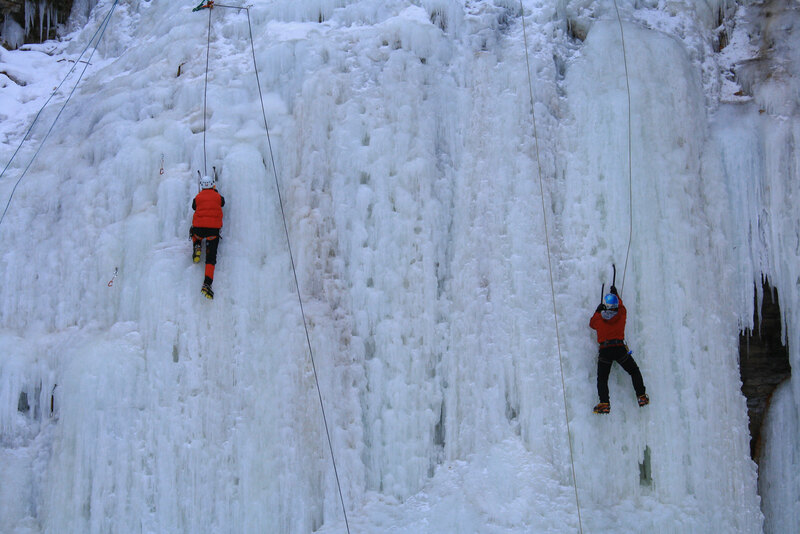 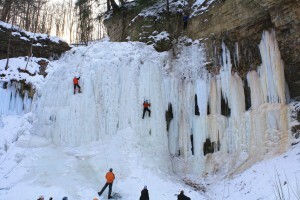 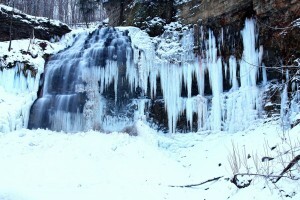 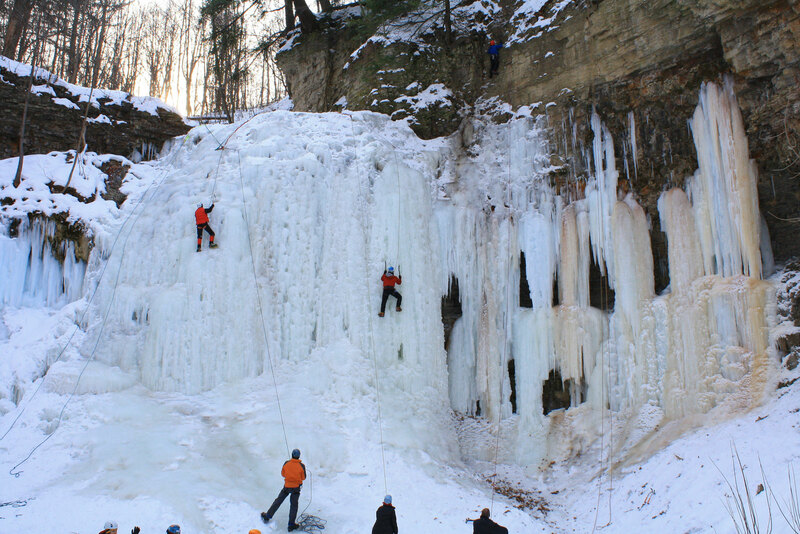 Tiffany Falls is also a location where ice climbing is allowed. 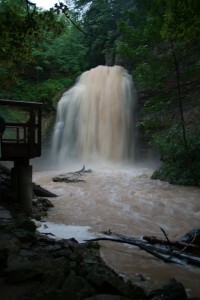 Tiffany Falls was named after Dr. Oliver Tiffany, the district’s first doctor. 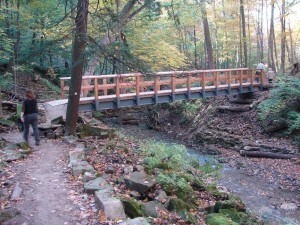 Born in Massachusetts, he studied medicine at the Philadelphia Medical College, and came to Ancaster Township in 1796. 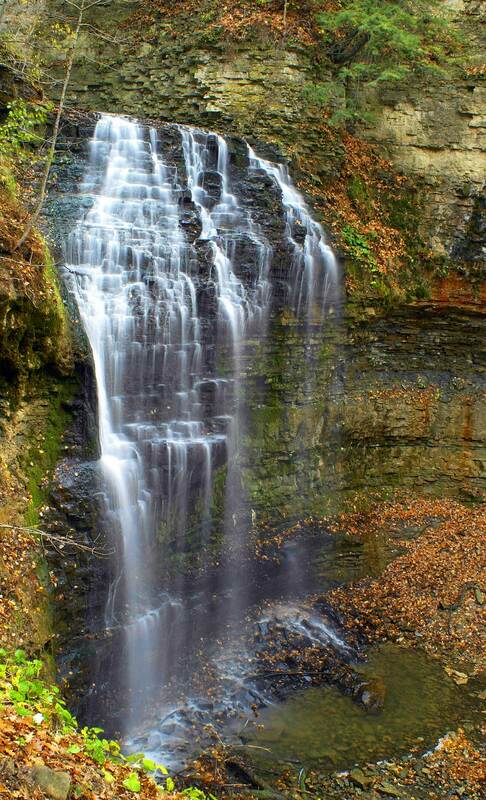 Because his practice covered such a vast territory, Dr. Tiffany would stable horses at farms all over the district, so that he could always locate a fresh mount if necessary during his rounds. 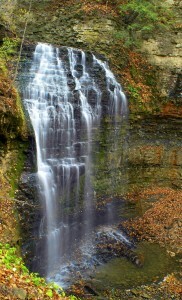 He died on May 7, 1835, after serving the people faithfully for forty years. 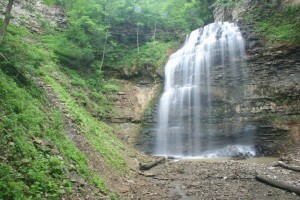 It is said that six hundred people attended his funeral, and the traffic jam created by the influx of buggies and wagons was talked about by residents for a long time afterward. To reach Tiffany Falls by car, take the 403 to Hamilton and exit at Main Street West. 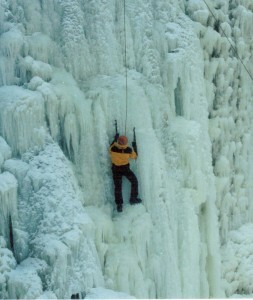 Turn left when you exit at the light then drive a few miles till you see the power lines. 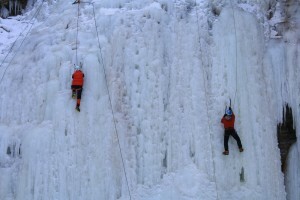 There is a mall on the left side called Main West Mall, turn left at the light there. 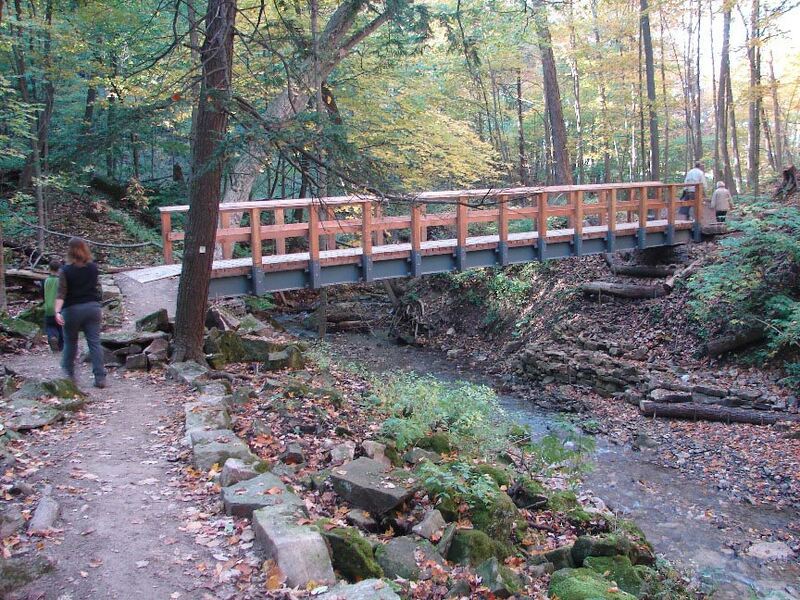 Then continue left on Main West, which becomes Wilson Street as you continue toward Ancaster. 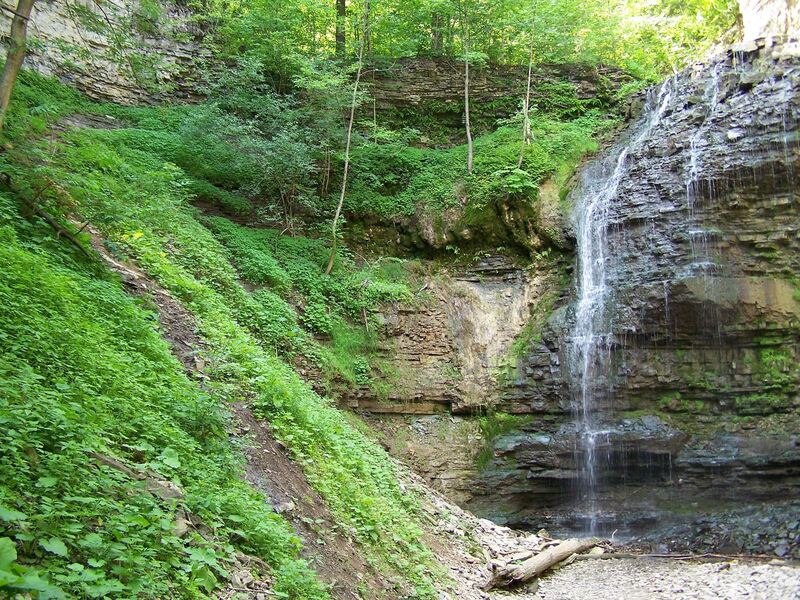 About half way up the escarpment, you will see Harpers Nursery on the right side, now you are getting closer, there is no signage, but when you see the road widen for a passing lane, you will come across a small parking area labelled “Tiffany Falls Conservation Area.” Park your car and take the footpath that runs along the creek’s south bank. 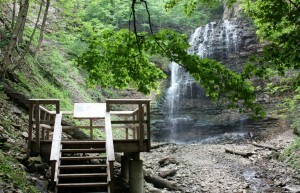 To reach Tiffany Falls via a walking trail, take the Dundas section of the Bruce Trail. 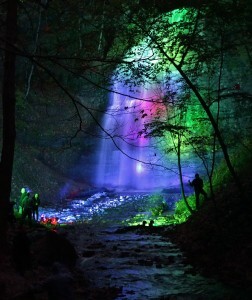 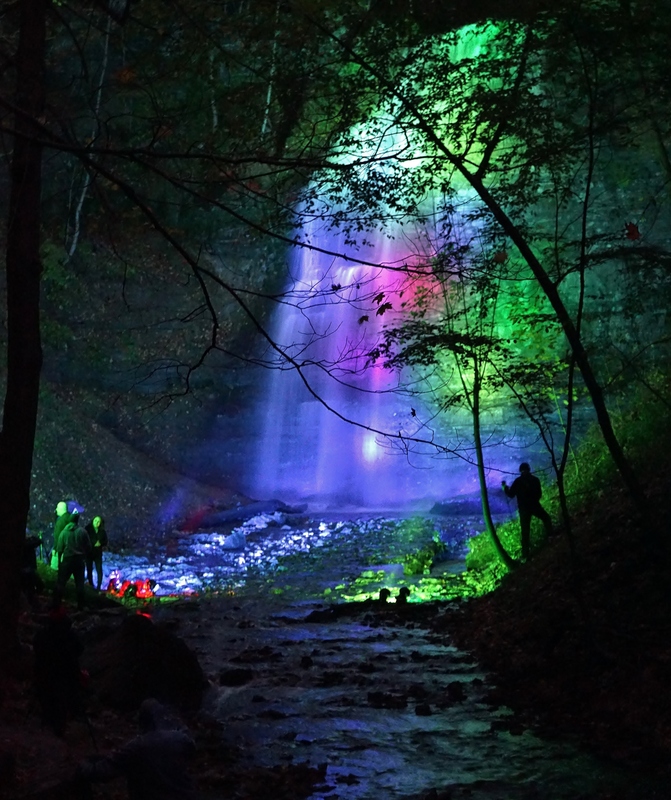 Tiffany Falls looking very beautiful at night!